Jon's debut album. Recorded in October 2011. - myrandomjukebox wrote : "This is a solid debut release with some great stand out tracks including ‘Pacifist’, ‘Touch’. 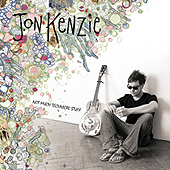 This release has a great selection of songs which shows Jon’s awesome guitar skills and his great soulful tone. Jon is a singer songwriter who’s style of music is so refreshing yet familiar at the same time".